Formed in 1995 and famously described in their early days by the NME as sounding like ‘a flight of stairs falling down a flight of stairs’, Idlewild’s marriage of punk rock, poetry and Highland spirit saw them grow from a raucous cult curiosity into chart-bothering national treasures. Growing more mature and masterful with melody they dropped six acclaimed albums and two compilations before deciding to take a break in 2010. Living life and continuing solo ventures filled their time away and a few years passed before friendship and the bind of their creative relationship brought them back together for 2015’s ‘Everything Ever Written’. Wondering if there was still a hunger for Idlewild, the band’s own compulsion and flair translated into one of the most ambitious records of their career. With it came critical praise, an album in the top 20 and successful tours of the UK, Japan and America with the band selling out venues as large as they ever had. 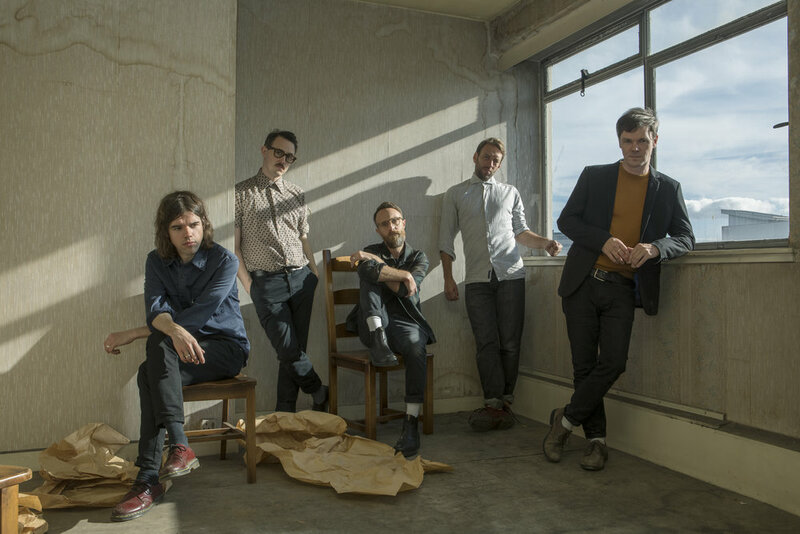 With new members Luciano Rossi (Keyboards) and Andrew Mitchell (Bass) on board, Woomble, guitarist Rod Jones and drummer Colin Newton felt a renewed sense of purpose. So much so that the week that ‘Everything Ever Written’ was released they were already beginning to start work on what would become the bold step sidewards - ‘Interview Music’. Inspired, at the end of a US tour they decamped to Los Angeles to record these ideas, but it would be some years before they set themselves up at Jones’ own Edinburgh studio to finish the record.